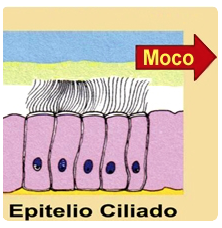 The mucociliary function is a self-cleaning mechanism of the nasal mucosa based on the pulsating action of millions of cilia arranged on the epithelial mucosa cells which, moving like microscopic oars, cause the mucosa to move in a single direction. Due to this action, the mucosa covering the epithelial cells is continually displaced from the nasal vestibule towards the pharynx where it is inadvertently swallowed. Over 90% of the particles contained in the air we breathe are retained in the mucosa which is continuously being renewed by the ciliary function. Most of the high airway conditions, including sinus infections, allergies and environmental contamination, alter the mucociliary function either due to nasal cilia alterations or to changes in mucosa properties. 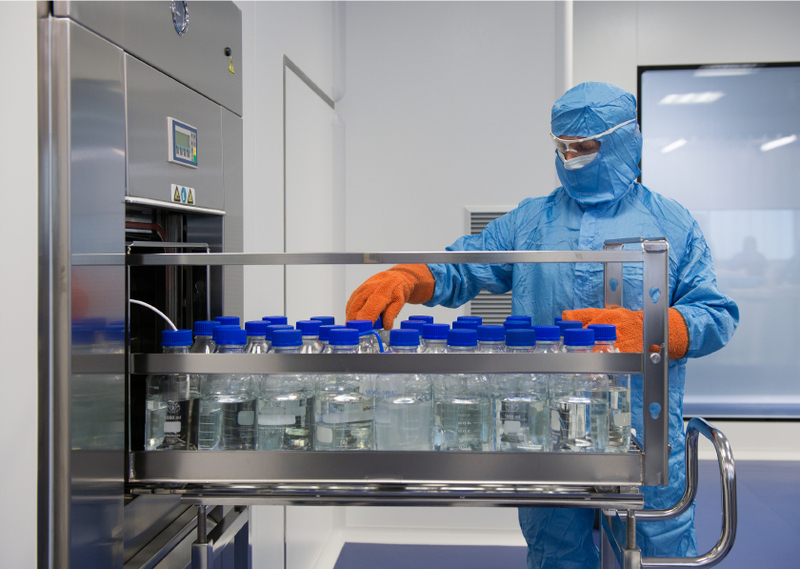 If this function is affected, the movement of mucosa is slowed down and secretions are retained and contaminating elements become accumulated together with allergens and bacteria. All this causes nasal obstruction, inflammation and infection. Nasal irrigation cleans the surface of the mucosa of the nose and paranasal sinuses, which assists the recovery of mucociliary clearing by eliminating both the substances that cause the dysfunction as well as the secretions that have a negative effect on the ciliary movement.